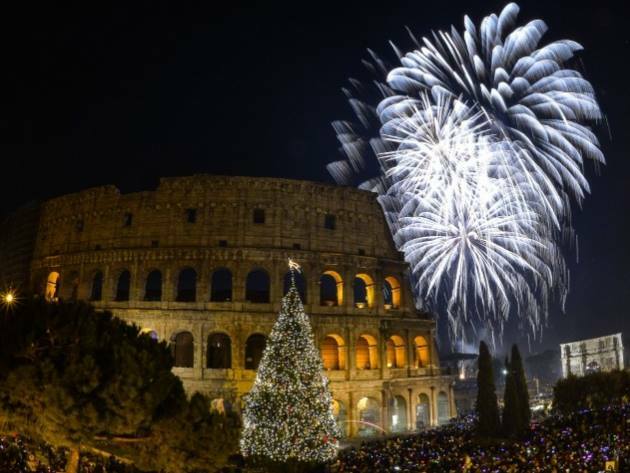 Christmas in Rome - ROME AND ITALY | TOURIST SERVICES IN ITALY! 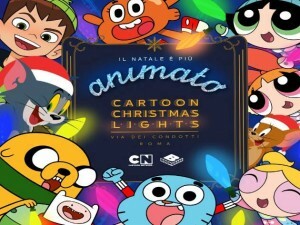 From November 24, 2018 to January 10, 2019, Via dei Condotti turns on the “CARTOON CHRISTMAS LIGHTS”, the Christmas light decorations inspired by the most loved cartoon characters on Cartoon Network and Boomerang TV channels. Tom & Jerry, Tweety and Sylvester J. Pussycat Sr., Ben 10, The Powerpuff Girl, The Amazing World of Gumball, The Happos Family and Scooby-Doo are the protagonists of a sparkling and innovative illuminationthat reinterprets the classic chandeliers with the characters of the show, transforming the famous luxury shopping street in a playful walk with a glittering combination of elegance and modernity. 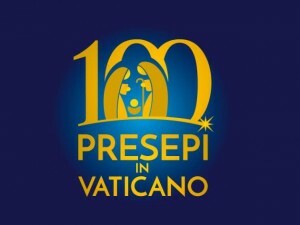 Like every Christmas, from December 7, 2018 to January 13, 2019, in the evocative setting of Sala San Pio X, Via della Conciliazione, Vatican City will host the traditional international exhibition “100 Presepi”. This year, the festival will exhibit Nativity Scenes from Italy and from all over the world, made by artists and artisans, collectors, amateurs, primary and secondary school students, representatives of cultural associations involved in social activities, state and local Institutions, national and foreign museums. From December 7th, 2018 until January 13th, 2019, Saint Peter’s Square lights up with the splendid red fir tree donated by Friuli Venezia Giulia, according to THE tradition in memory of the Nativity of the Messiah, together with the representation of the nativity scene at the foot of the Vatican obelisk. Chocolate is delicious, improves mood states and makes people feel good ! 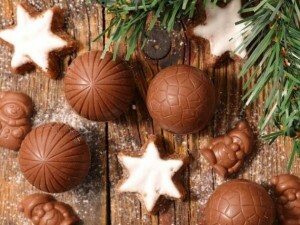 In all shapes, in different flavors, milk, dark, white, spicy, with ginger or berries, rich in pistachio or hazelnuts, fresh tasting with pears or citrus fruits, this extraordinary food will be the protagonist of the “Chocolate Festival” on December 8th and 9th at Parco Egeria. Craftsmen of taste and workshops, in particular from the areas of Perugia and Modica, will present their chocolate sweets, combined with a delicious selection of panettone, pandoro, pangialli, nougat, panpepato and brittles, hazelnuts, almonds and roast chestnuts. A big party in the name of happiness, family and, of course, sweetness! Sunday, December 9th will be the right occasion for foodlovers to experience the sparkling Christmas atmosphere at the “Pandorino Christmas Festival”, the event dedicated to Christmas sweet specialities at Circolo degli Illuminati. 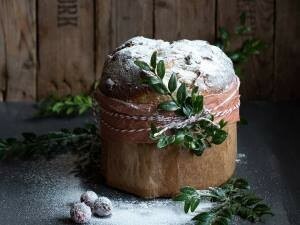 Pastry chefs, from the Alps to Sicily, will present their exquisite artisanal productions, for an extraordinary showcase of traditional Christmas sweets, such as panettone, nougat, pandoro, panpepato, struffoli and cantucci. The event will also be an opportunity to look around the colorful market, while women can find out how to take care of themselves in a natural way with the dedicated corner “Introduction to Natural Cosmetics”. 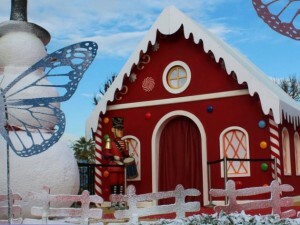 The lively Christmas essence will involve children with the Puppeteer and his amusing little theater and four workshops. Sweets, concerts, exhibitions, entertainment, gifts and lots of curiosities, to spend a Sunday in a real, warm and friendly Christmas spirit! As soon as you enter the Magic Portal, the Park turns into a magical and fairy scenery. Kids and adults will enjoy the new Christmas attractions as the ecological ice rink, the exciting electric gokart, the adrenaline-filled Top Speed, the Tomboluna, the post office to write letters to Santa Claus, the big Christmas tree, the nice, little marzipan man Pepe and much more like workshops, sweets and typical Christmas products! For the most romantic, not to be missed the appointment under the largest sphere of mistletoe in the city, to kiss and post the photo on Instagram, tagging @luneurpark, using the hashtag #fortunabacio and win many exceptional prizes! One of the most entertaining Christmas experiences in the city, with free admission for everyone! Fairy tales will be the protagonists of the extraordinary, colorful and sparkling show Disney on Ice “The Enchanted Tales”, on stage from December 6th to 9th at Palalottomatica. The fantastic Disney adventures characters will perform, singing and dancing on ice with an energetic and exciting choreography! Spectators can join this enchanted world and meet Sebastian, the daughters of King Triton from “The Little Mermaid” and sing with Ariel, Anna and Elsa from “Frozen“, know the friendly brigands of the tavern and the lively Rapunzel with her charming friend Flynn Rider, the bewitched servants and the Beauty and the Beast, that will guide the audience in their fairy castle on the ice. The Roma Gospel Festival, one of the most important international festivals, will take place at the Auditorium Parco della Musica. 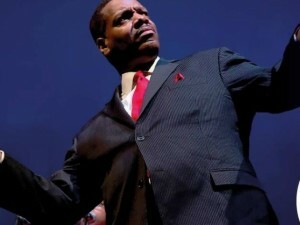 The best gospel and spiritual groups from the United States will perform on stage, proposing the most up-to-date choices of a musical genre full of joyful devoutness and highly appreciated all over the world. The Festival, directed by Mario Ciampà, is a fixture at the Auditorium Parco della Musica and an unmissable event for all lovers of this exciting and spiritual musical expression. Nicola Piovani will perform in the great Auditorium Parco della Musica with “Music is dangerous”, a musical story narrated by instruments. Piano, keyboards, double bass, percussions, saxophone, clarinet, guitar, cello, accordion will act on stage like real actors. Freewheeling, alternating theatrical unpublished pieces and rearrangements of some of the most famous songs, Nicola Piovani tells the audience his varied artistic path that has led him to eclectically range from cinema to theater, from concert music to songs , collaborating with big names like De André, Fellini, Benigni, Magni and with international directors and artists. “I always gave my best everytime I lost my balance”. 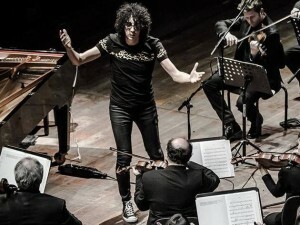 Giovanni Allevi, one of the most beloved contemporary composers by music lovers in the world, returns on stage on Christmas Eve along with 13 selected strings from the Italian Symphony Orchestra. 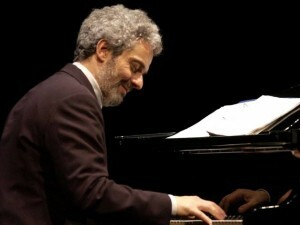 On December 26th 2018 the Sala Santa Cecilia of the Auditorium Parco della Musica will be the setting of a concert by the brilliant artist who performs the role of pianist, composer and conductor, thrilling the audience with his extraordinary sound, shaped by the incredible magnetism and childlike lightness. The genius of the “Contemporary Classic”, with a “rock” and unconventional soul but at the same time academic and rigorous musician, will perform alternating the best known melodies of his long career to his new charming productions. 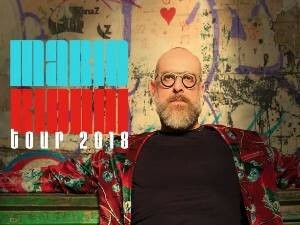 The exciting notes of Mario Biondi will sound in the prestigious setting of the Auditorium Parco della Musica on December 27th, accompanied by an exceptional super band, composed of Quintorigo, Federico Malaman, Massimo Greco and Tosh Peterson. Black voice, Sicilian heart, Mario Biondi is an international and multicultural artist, whose voice and stage intensity let the audience experience an immersion in a fusion of sounds for a truly unmissable concert. All the magnificence of the Russian tradition of classical ballet will be on stage at Teatro Olimpico with the Moscow Classical Russian Ballet. The talented corps de ballet will perform the fairy tale “The Nutcracker”, a ballet in two acts filled with a magical and festive atmosphere that mixes love, dreams and fantasy, still fascinating the audience of all ages and nationalities. The enchanted scenic design and the story, so intensely and wonderfully represented, transport the public into another world and into another time, making them be part of a fairytale with a happy ending, made of sweets and biscuits, soldiers, prince and fairy, Magic, Christmas tree, snowflakes and dancing flowers, for a multicoloured, merry and melodious Christmas dream. Art, spirituality and beauty are the themes of the current exhibition on view , from November 20TH 2018 to February 16th 2019 at the majestic Braccio di Carlo Magno, the space connecting Saint Peter’s Basilica to the Bernini colonnade. 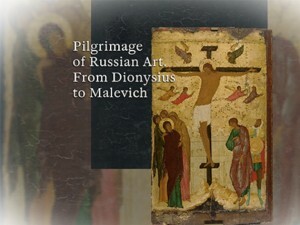 An extraordinary selection from the Russian National Galleries that sent to the Vatican State 54 amazing masterpieces. Visitors can admire great Russian paintings of over six centuries and experience the cultural and spiritual message of Russian art in the heart of the Western Christian world.